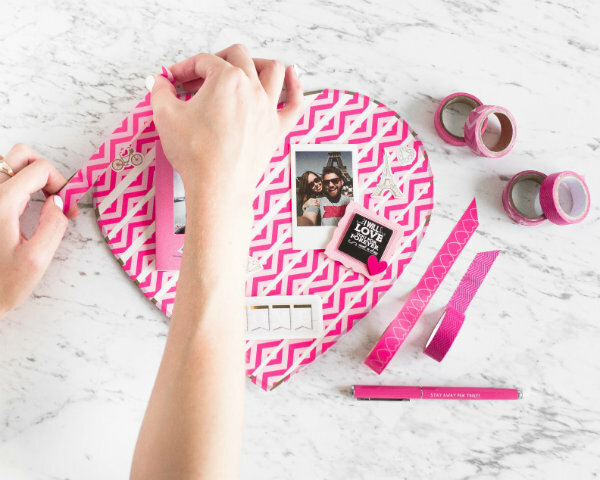 Depending on how busy you’d like your photo board to be, you can add a layer of Washi Tape to the base to create a colourful background to place your photos on. I’ve opted for a diagonal cross pattern, but you might like to experiment with different shapes. Next up, take some of your fav Instax images or memories of your partner and print them off your Share Printer. 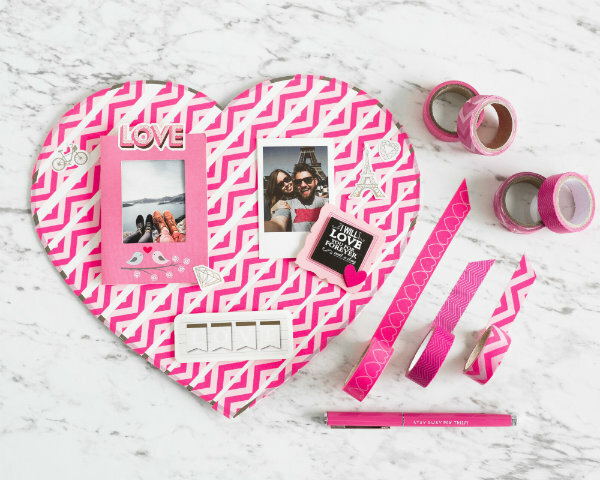 Step 3: Add these images to your board using washi tape. Step 4: Next up, decorate your pictures with stickers. Step 5. As an extra touch you can add a smaller blank piece of paper or card (using washi tape) to write a cute message to your partner. Step 6: Pop the frame base on the back of the card to display.